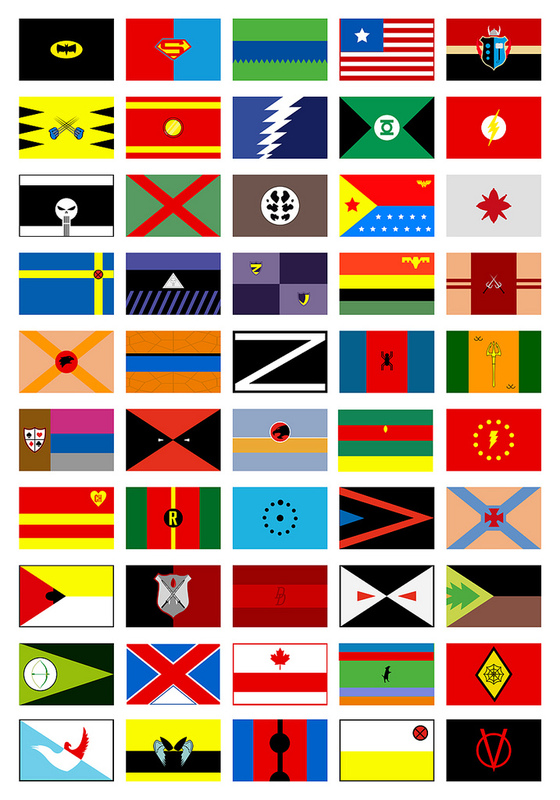 The flags of 50 superheroes as if they were countries, by Fabian Gonzalez. (Also available as a print.) I don't think I'd want to live in Rorschach Nation. I can't say that I got all of those. Crap! Is the Z for Zod? Is the friendly neighborhood Spidey nation the one next to Aquaman? Viva The Pop Culture Revolution!